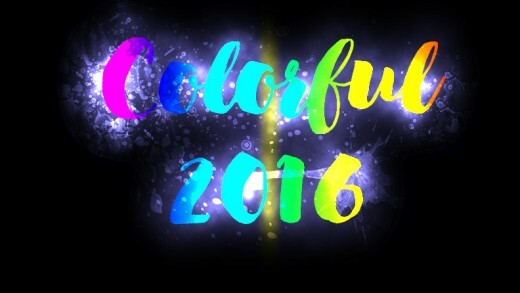 This is a super simple, easy to follow tutorial on creating a glowing colorful text effect for headings and images in Adobe Photoshop. I have Adobe Photoshop CS6 but you can also use this technique with older versions. 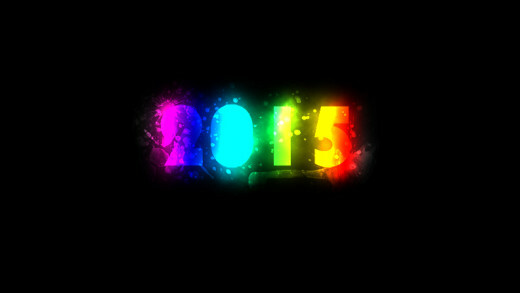 I’m using the Clouds Filter to create the glowing effect and Gradient Tool to give the rainbow coloring. I also added blood splatters and other extras like some Birds Flying brushes I got for free from Brusheezy. 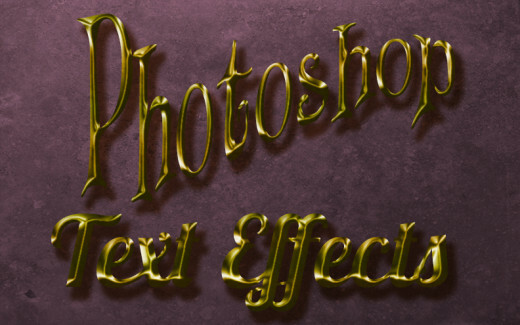 Once you have created one of these text effects, you can use the technique for a number of other projects in the future. This tutorial makes a really beautiful text heading for your flyers or business cards, or even a cover for an e-book. You can even drag a photo to the background layer as long as the photo is rather dark like a sunset. The application possibilities are virtually endless. So let’s get started. If you are fairly new to Photoshop, you should always keep in mind that you can Undo any step you did wrong or messed up on by pressing Control (on a PC) or Command (on a Mac) and Z. This will allow you to back up only one step. If you need to back up more than one step you have to go to Edit>Stepback and press this again and again for each step back. The problem with this is that the default setting will only let you step back about 20 times. If you think you need to undo more than that, you will need to change the default setting before you start. 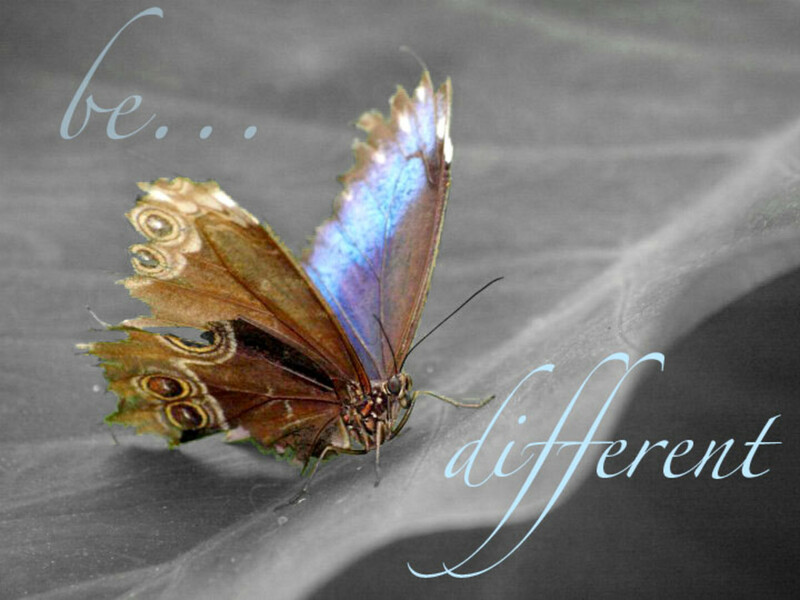 I find if I have to make that many changes, I might as well start over. Start a New document, 1600 x 900 pixels, and 72 dpi. Fill this with black by using the Paint Bucket tool and clicking inside the document to “dump” the paint. 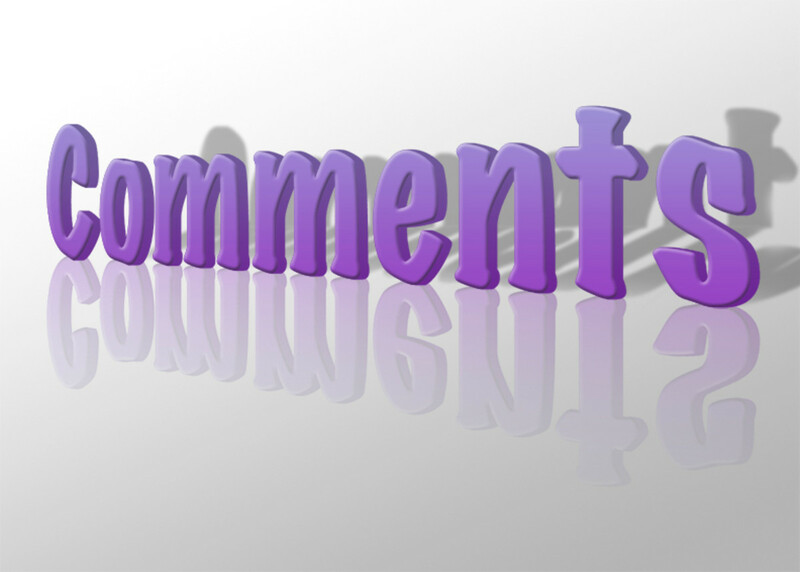 Have you created specialized text for your headings before. Next click on the Text tool or just press T; choose a text with large bold letters like Bank Gothic or any font you prefer and white color. Type whatever word or phrase you prefer. Size this to fit the art board by pressing Control/Command+T to open the Transform Tool and pull the corners and drag it into place. I downloaded iNked God font from DaFont and used that. Next you have to Rasterize the Text by right clicking on the layer and choosing Rasterize Text. 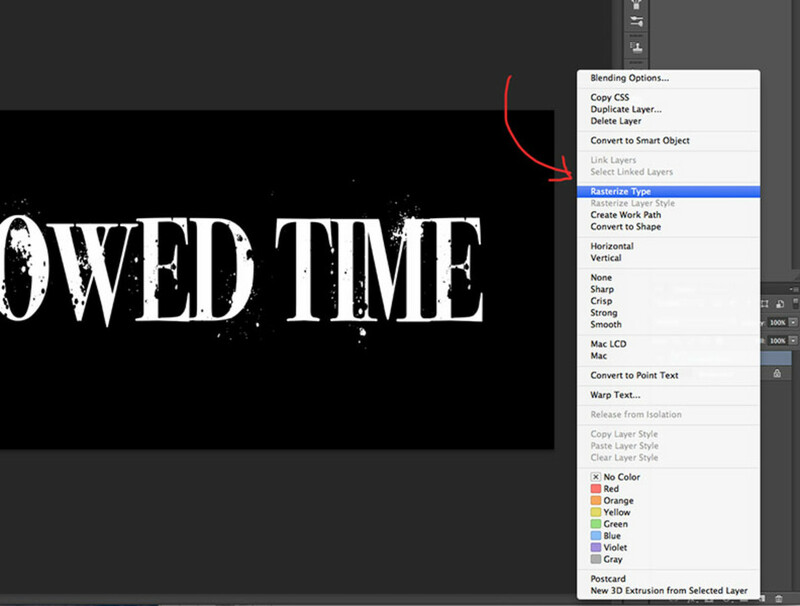 Now select the layer by pressing Control/Command and click on text thumbnail in the Layers Panel to select. You know you have selected the text when you see the little marching ants around the letters. Create a new layer my clicking onto the little white paper icon at the bottom of the Layers Panel or by pressing Control/Command+J. 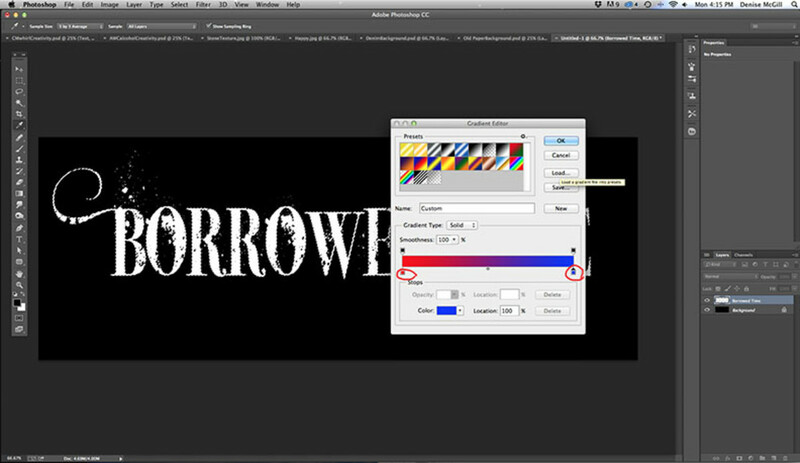 Click on the Gradient Tool and click onto the gradient sample bar in the top menu bar. This will open the Gradient Window to allow you to choose among several default gradients. Choose the gradient called Spectrum gradient. The names appear if you hover over them with the curser. If there isn’t one there, make one by clicking onto the little color pointer at each end of the gradient bar and choosing either red or blue. Red on one end and blue on the other will give you a nice spectrum. 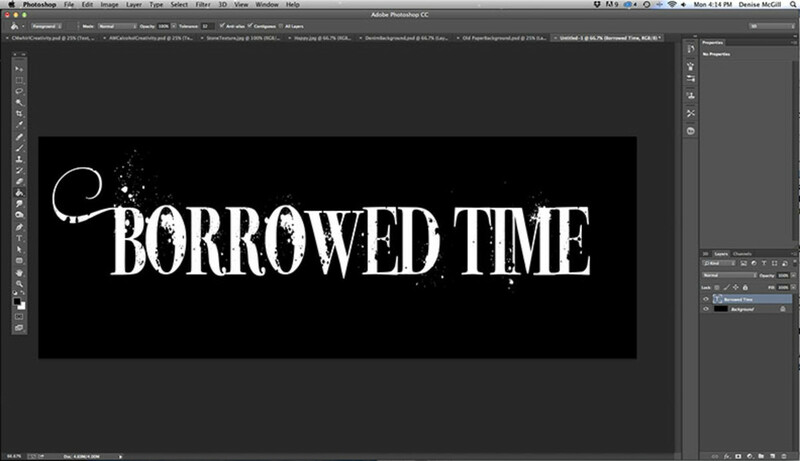 With the Gradient Tool, drag the tool at a diagonal across the text from the top left to the bottom right and release. Next press Control/Command+D to deselect and make the marching ants stop. If you forget this step, you will not be able to do anything else until you do. The deselect can also be found under Select>Deselect. Create a New layer, Control/Command+J. 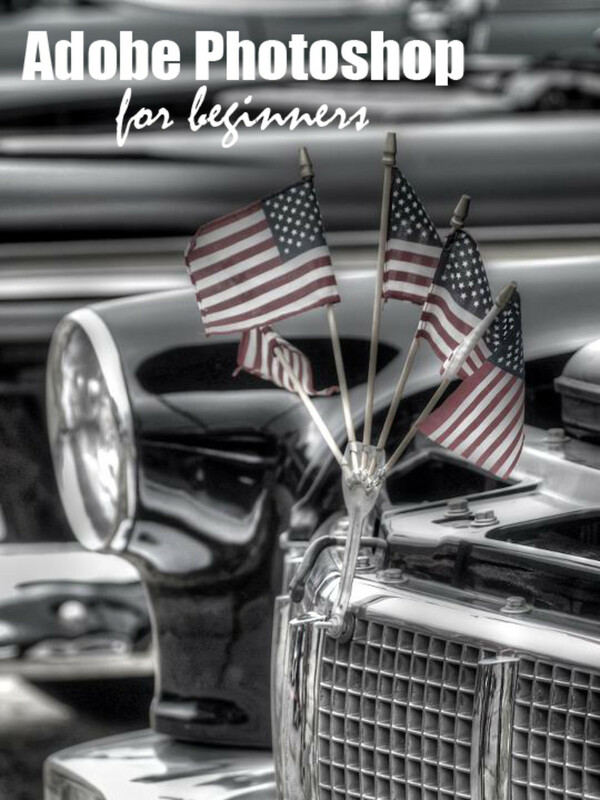 Make sure your foreground and background colors are set to black and white. 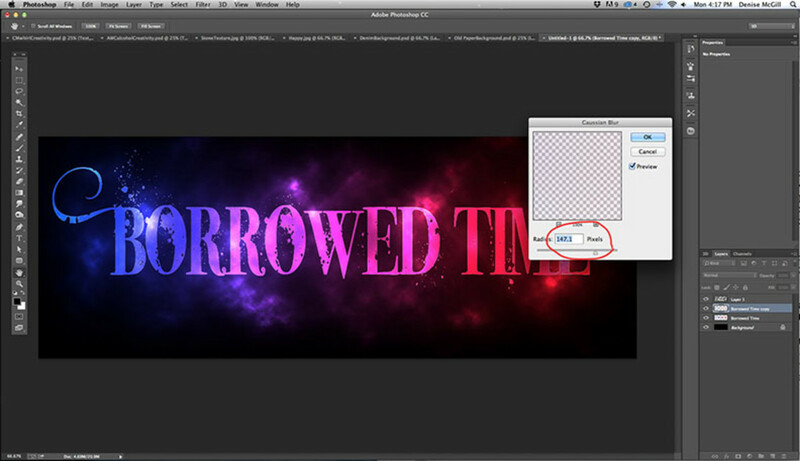 The shortcut for this is to just press D. Go to Filter>Render>Clouds, and set the Blend Mode to Color Dodge. Duplicate the text layer by pressing Control/Command+J. Go to Filter>Blur>Gaussian Blur, and set the about to 38 percent. On this Clouds layer, with a special underline brush, 300 px, and white, click under text. I used a blood splatter brush I had and a starburst. Anything will do. Set brush Opacity for 100, Flow for 60. There you have it. This one was super simple yet allows for many possible applications. I really like how the glow adds rainbow colors. 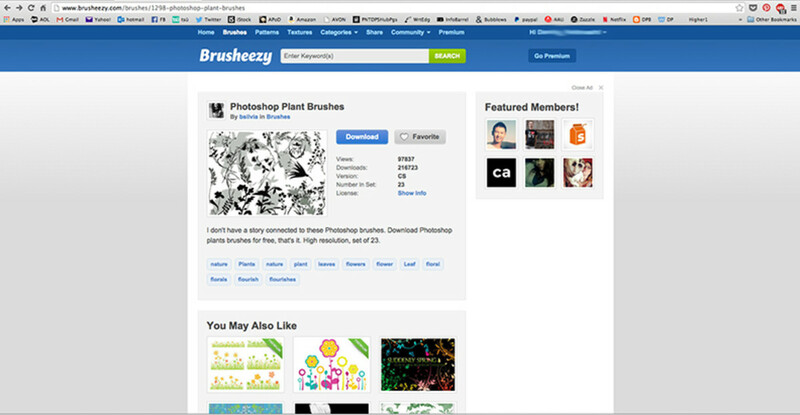 Check out the many possible brushes you can download for free from Brusheezy. You can use them in this and other text applications later. Once you have downloaded a brush, you have to load it into your Application Presets. You need to start be closing Photoshop. None of the brushes will show up until you close Photoshop and reopen it. In my Mac, I went to Applications, found my Adobe Photoshop program and clicked onto it, which opened a list of other possibilities. Find Presets, and under that you should find Brushes. This will show you all the Brushes you have available in Photoshop. 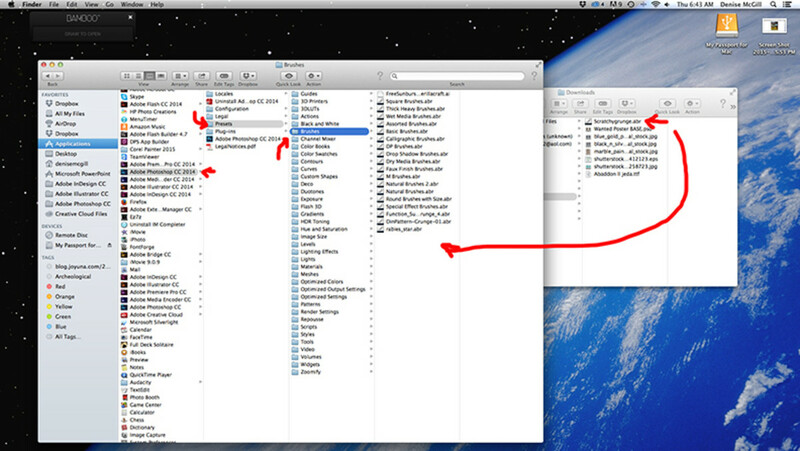 In my Mac I have to open a separate Download Window where I will find my downloaded brush file. If it is zipped I have to unzip it by double clicking. 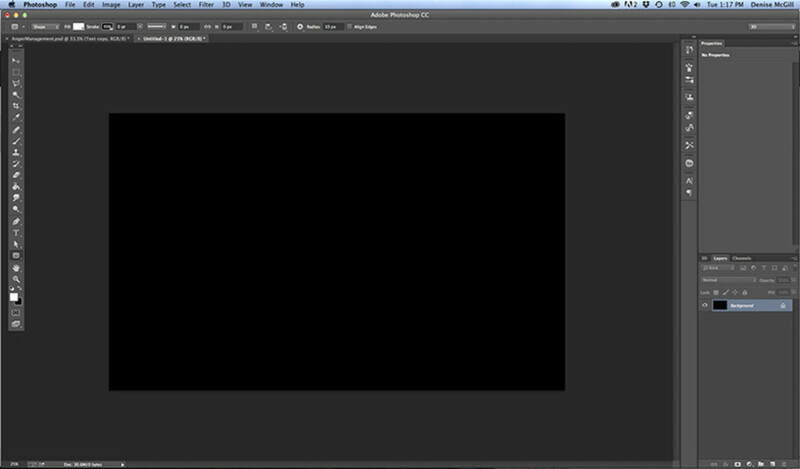 Then drag and drop the brush file into the open Brush Presets window. Now when you reopen Photoshop, your new brushes should be there, ready to use. 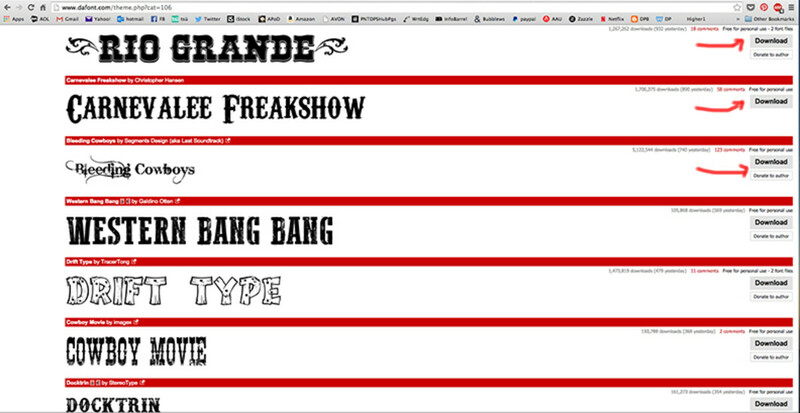 You can get many free Fonts to use at a variety of different sites. 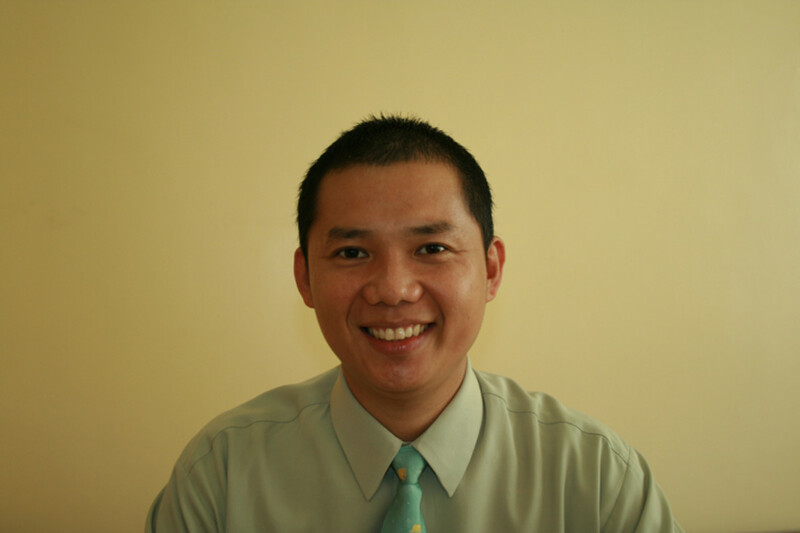 I like DaFont. Once I have downloaded a font that I love, I have to first load it into Photoshop or any of my other programs to use it. In my Mac I have a Font Book under Applications that will allow all my programs from Adobe Photoshop and Illustrator to Microsoft Word to use the same fonts. I go to Applications and find Font Book. 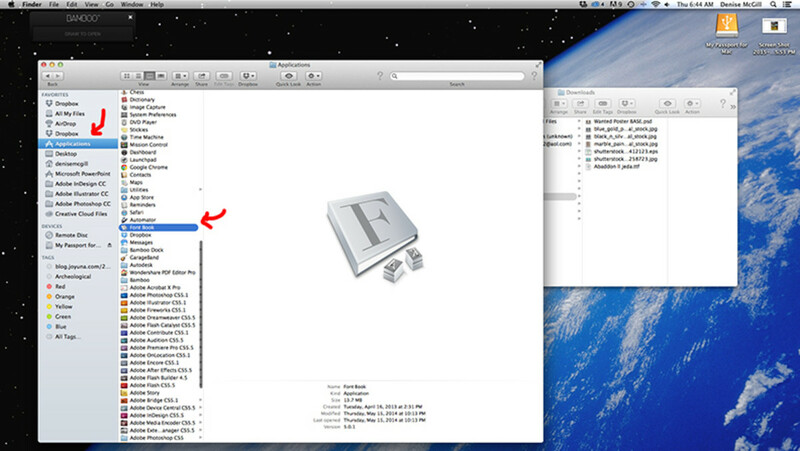 Double clicking will open the Font Book and I can then drag and drop the new font directly into the Font Book. It can then be used in Photoshop and all my other programs. Thank you. It's very simplistic compared to your projects. I appreciate your visiting my text effects. I'm glad you find it interesting and useful. Thanks so much for visiting. Very useful and interesting article. You have explained the whole thing so beautifully and clearly, Thanks for sharing this knowledge. My pleasure. 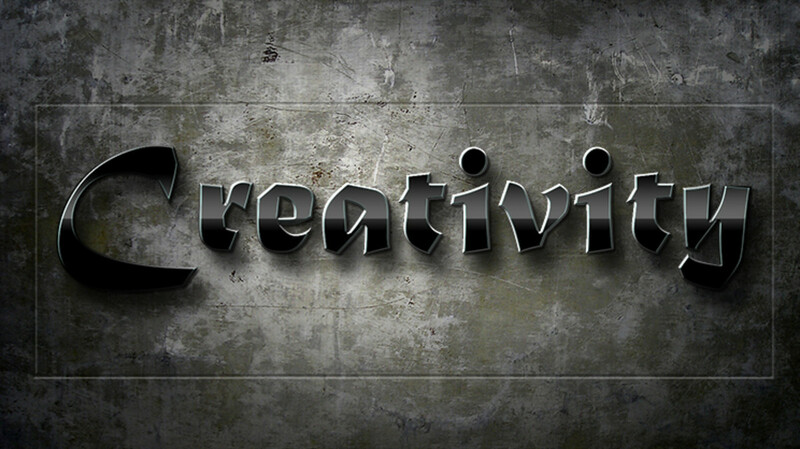 I enjoy making these text effects and the tutorials too. Thank you for visiting. Thanks again for this very helpful tutorial. I am sort of, aren't I? I have three more waiting to finish the writing too. I'm enjoying them so much too. Thanks for the kind comment. Very pretty. You are on a roll with these tutorials!